Hey, dolls! I'm sure you all know by now that the new Pretty Naked II palette from 100% Pure has launched on their site!!! So exciting right! I got my paws on this palette a couple months back when it was sold exclusively through Evine. 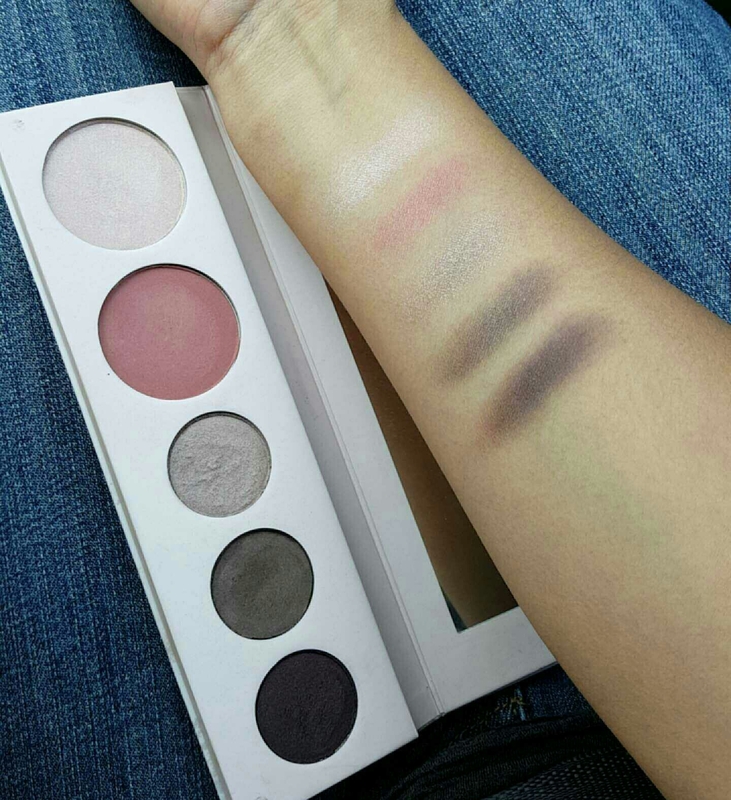 I bought the 5 piece set that included the new palette along with other great goodies. 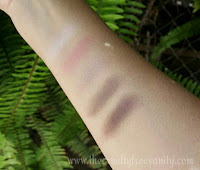 I did video swatching the Pretty Naked II along with other new goodies from 100% Pure, you can watch it here. You can also see they way the palette looks like on, in this video here. Alright, let's get down to business, I have been playing around with this palette for a while now and I have my review ready for you. 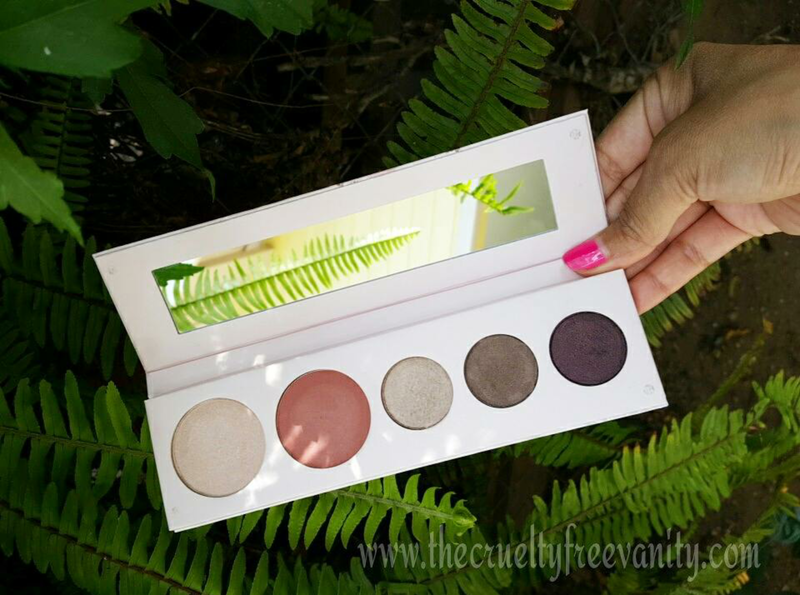 This palette is $45, comes with 3 eyeshadows, a blush & luminizer all packaged in a pretty sleek palette. Usually I depot my palettes but not my 100% Pure palettes, they are always too pretty to do so. Formulated and pigmented with fruits and vegetables, rose petals, and chocolate!!! Yum! It's also packed with nourishing oils, such as cocoa butter and avocado butter among others. Of course, it's vegan, cruelty-free & natural just like anything on this site unless stated otherwise. Illume is a very pigmented & beautiful highlight. Not too pink or peach but it does have a slight pinkish tone. It shows up a bit icy on my now tan skin, but man does it give a beaming highlighted look!!! I usually tend to go for gold or champagne highlights because they suit my skin tone better. I do see this luminizer working way better for me in the fall & winter when I'm lighter. It does not look bad on my skin tone by any means like I said I just prefer golden highlights. Applying a very light layer of it on my cheek bones does look nice, though. I do love this highlight for the inner corners, brow bone or as a lid color. Really does open up my eyes when I use it on my eyes. The texture is smooth and creamy, very very nice. My absolute favorite is the blush, Afterglow is a beautiful everyday shade perfect for any makeup look. Just like any other blush from 100% Pure, it's very pigmented so a little goes a long way. I reach for this blush quite often and I also use it as a transition shade on my eyes. It makes such a beautiful transition color!!! The texture of the blush is smooth and silky not chalky at all. Last but not least let's talk about the 3 eye shadows, The pigmentation is awesome, the texture is different in each shade. The palette has Beam, Splendor & Vivid these are from left to right on the palette. Beam is the lightest shade very pretty champagne sheen, I usually pop this on my lid but its also great as an inner corner or even brow bone highlight, of course depending on your skin tone. The texture on Beam is smooth, goes on & blends so nicely. Splendor is a bronzy taupe color, such a beautiful color. Also, has a sheen type of finish and It's my favorite of the 3. The texture is beyond creamy, smooth and silky!!! Way more than the other 3. I use this as a crease color, outer v, as liner or lid color for a smokey look. Then we have Vivid, a dark purple shade with a bit of pinkish or reddish sparkle. The texture on this one is different due to the tiny glitter in it. So pretty on the lower lashline which is how I've been using it. It also works nicely as a liner, outer v and of course crease or lid shade, very versatile. The shadows are long lasting, even without a primer. I was so impressed when I realized that the shadows still looked nice after 12 hours, and I got oily lids! 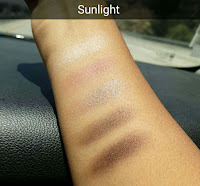 After that, I decide to test all the shadows on the 100% pure palettes to see if they were all long lasting, and they are!!! The shades in the Pretty Naked II palette are very wearable great for a day look and a night look. The palette itself is a slim magnetic cardboard palette, great for traveling because it does not take up a lot of space. I'm loving this palette and do recommend it to you guys. At least to test it out for yourself, 100% Pure has a great return service just in case it does not work out for you. I will be doing a comparison video between the original Pretty Naked palette and the Pretty Naked II very soon on my channel. BTW 100% Pure is having a sale right now!!! Click the link below. Plus you can use code NY10NAKED to get 10% off the Pretty Naked II Palette, on top of the already amazing sale!!! Now on to what many of you guys are here for, the giveaway! By being a 100% Pure approved blogger, I get to test out their new goodies. But like I said I had already bought this palette with my own money a couple months back. Which means I got an extra palette, so I thought it would be an awesome idea to give it away! Giveaway is now CLOSED! The winner is Fatima Gomez!!!! Congrats doll!!! Thanks to everyone who entered my giveaway, if you did not win, don't worry I got more giveaways coming. Leave a comment on this post wich will count as your entry. For an extra entry follow me on Instagram (nz0424) and comment on any of my photos telling me you entered my giveaway. Giveaway will be open for a week from July 21st until July 28th, 2016. I will announce the winner the day after it ends, here on this post. So hurry and enter to win your own Pretty Naked II Palette!!! *** This post contains some affiliate links. If a purchase is made through my links I get a small commission, thanks! 100% Pure is not responsible or liable for this giveaway, I will be sending the winner their prize directly.